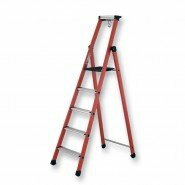 We supply both single rung and double rung insulating stepladders and ladders that conform to EN 131 safety standards. 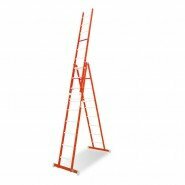 All our insulated ladders are supplied by Sofamel, one of the leading electrical safety manufacturers. 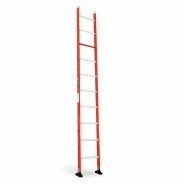 The ladders are intended for industrial use. 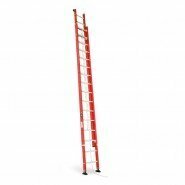 Working with electricity can be dangerous, at heights even more precautions are required. 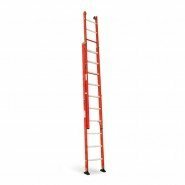 Insulated ladders can lower the risk while working at heights. If you are on the ground and working on live equipment consider investing in rubber safety mats. 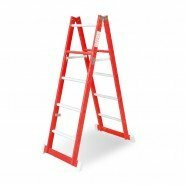 All of our ladders are compliant with EN 131 safety standards, most provide protection up to 30,000 volts and are constructed from aluminium and dielectric fiberglass. 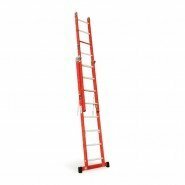 You can view our full range of electrical Insulated Ladders at www.substation-safety.com.